Doraville is a small city located in Dekalb County with a population of about 11,000 residents. Homes featuring mid-century modern architecture are very prevalent throughout Doraville due to their popularity during the post World War II housing boom that took place in the city. These homes feature walls of windows, open floor plans and functional design. 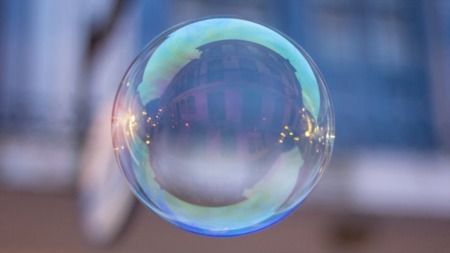 Home prices in the city generally start around $100K and go up to $500K. The average home size in Doraville is approximately 1,600 sq/ft. 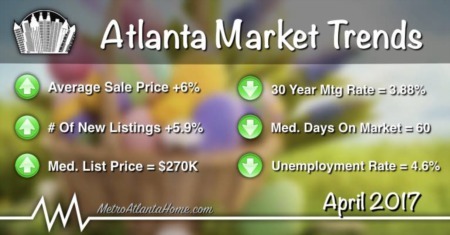 Want to know what homes are selling for in Doraville? Visit our market trends page for the latest local real estate statistics; then browse recently sold properties in the city. Also, check out our Doraville city guide to discover what makes this area such a great place to live. Those looking to live in the city of Doraville may experience some challenges when trying to narrow down their search using basic criteria fields. This is because homes for sale in Doraville are typically listed using either an Atlanta address, or a Doraville address. Specifically searching one city or the other could severely limit the results. Most agents and savvy home searchers choose to browse homes by zip code, using either 30340, or 30360. Unfortunately, these zip codes extend beyond the city limits into nearby Dunwoody, Gwinnett county, and the city of Tucker. 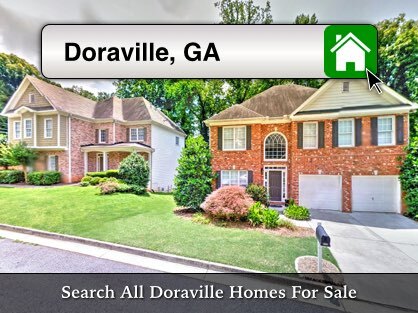 Even the properties listed for sale on this community page do not reflect the total inventory of homes for sale in Doraville, due to search field limitations. I suggest using a map based search that allows you to visually target areas of interest, usually by drawing a shape on the map. Homes in Doraville tend to be much more affordable than those in surrounding areas, despite being just inside/outside the perimeter. In fact, you probably won't find a house in the city going for much more than $500K. This makes living in Doraville an affordable option for anyone wanting easy access to all of Atlanta… without the hefty price tag. Doraville is also home to some of the area’s most unique and sleek mid-century modern homes. Since the majority of houses in the city were built between 1950 and 1970, you’ll find plenty of ranch, split-level and contemporary homes in the area, as these were very popular home styles during that time. In the 1980s, there weren't as many single family homes built in Doraville, most of the construction at that time was of townhomes and condos. If you’re looking for something a little newer that is still quite affordable, there is a large community of townhomes built in the late 1990s and early 2000s called Avery Park. If new construction is your thing, check out the Hillsdale neighborhood for new homes, or Chestnut Place for luxury townhomes. Whether you’re in the market to buy a home, or if you need to sell your property, look no further than Doraville’s top real estate team. We have extensive experience selling all types of real estate, but especially older homes in established neighborhoods. Many of these mid-century houses have “solid bones”, but need updating and repairs. We’ll help you determine the best course of action for your situation, saving you time and money. Most people don't know that the typical pitfalls of buying and selling a home can easily be avoided by hiring an experienced REALTOR®. This is why it's important to start working with our team early in the process, so we can ensure you're on the right path, every step of the way. For sellers, our team has amassed a large database of first-time home buyer customers and clients. These young professionals, some with new families, are often looking for more affordable options that are close to the city… making Doraville a perfect fit. So contact us today to get started on your next purchase or sale! Searching real estate records for properties located in Doraville can easily be done online. Whether you’re looking for county appraisal records, tax bills or ownership information, you can find it all on the Dekalb County government website. There you can find links to the property appraisal department and the tax commissioner’s page, then search property records from there. You can also find warranty deeds, plat maps and more through the Georgia Superior Court Clerks' Cooperative Authority website. Property taxes are calculated using city (and county) millage rates, which are determined by the city council each year. Millage rates must be voted on each year by the city and the county, respectively. The millage rate is multiplied by the value of the property (determined by the county appraiser) to come up with the annual taxes for each parcel. Taxes may be reduced with a homestead exemption, if the homeowner qualifies. Real estate in Doraville ranges from affordable, to extravagant, depending on the neighborhood. Popular neighborhoods in the city include: Aspen Woods, Guilford Village, Gordon Hills, Liberty Village, Oakcliff Estates, and Fountainbleau. Most Doraville homes for sale are priced from the low $100s, to right around $400k. Styles are mainly traditional ranch and bungalow with a few colonial and split-levels, as well, most echoing the mid-century modern style that was so prevalent in the 50s and 60s. Many of the neighborhoods in Doraville have active community associations or homeowner’s associations. 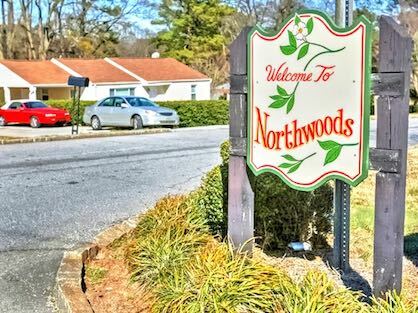 Located just off of Shallowford Road and Buford Highway, Northwoods is the home to Autumn Park and Brook Park. This neighborhood is the most popular in Doraville and known as one of the first planned developments in Georgia, having broken ground in 1952. After a slow uptake in home sales with traditional ranches, two Georgia Tech architects created a slew of modern homes that still maintain the style and affordability today. Because of its proximity to both Peachtree Dekalb Airport and the GM plant, Northwoods quickly became a bustling and vibrant neighborhood, requiring more houses and space. A few original residents still live in Northwoods, and though most homes have been added onto and updated, a few still have original hardwood floors, appliances, and other retro touches. The Northwoods Area Neighborhood Association has almost 100 members and holds meetings once a month, with a common goal of creating community. The association sponsors events, programs, outings, community projects, and more. 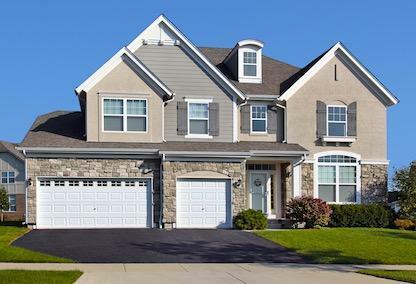 Real estate in this neighborhood is affordable, ranging from the mid $100s, to the low $200s. Located between Northcrest and Pleasantdale Roads, Northcrest isn’t technically in Doraville though most homes have a Doraville mailing address. The neighborhood itself was developed, built, and expanded from the 50s through the mid-70s. The houses in Northcrest echo that time period, most being the stylish mid-century modern ranch, with vaulted ceilings, creative exterior materials, and open floorplans. Real estate in this neighborhood ranges in price from the mid-$200s to the low $300s. The Northcrest Swim and Tennis Club is located on Bowling Green Way and provides residents with plenty of activities to do right in their own backyard. The swimming pool is open from May until September and offers swimming lessons for children up to 14 years. There are also lighted tennis courts, open year-round, and tennis lessons for children 3-18. The club also has volleyball and bocce ball courts, horseshoes, and a large playing field for football, baseball, and soccer.